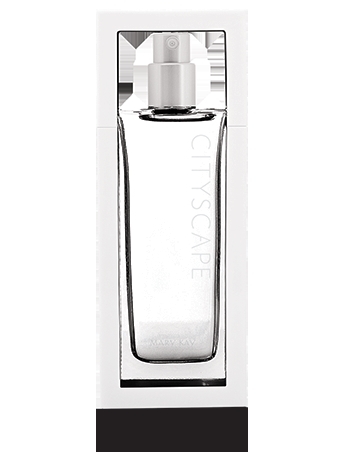 Scent TREK® is a registered trademark of Givaudan S.A.
Cityscape® Eau de Parfum is a sophisticated fragrance that can inspire any woman to experience new adventures and destinations. This scent speaks to an impeccable sense of personal style that’s never pretentious, but is gracious and refined. Take on every new experience with simple sophistication. Spray fragrance onto pulse points: neck, wrist, bend of arm and back of knee.